The last few years have been tough on UK consumer generally and therefore many people have had to let payments slip on their current credit facilities, thus impacting on their credit rating and access to finance. Choose an experienced company to help you get back on top of your finances and potentially repair your credit profile if you succesfully obtain the loan you require and keep up the payments. Loans available can start from just £1,000 and can be used for virtually any purpose. If you have missed payments on existing debts, have County Court Judgements (CCJ`s) or mortgage arrears you may find it more difficult finding a loan, but at First Choice Finance we could still help, with 25 years experience and a large selection of unsecured and secured loan plans from a wide selection of lenders we could even help where others have let you down. Whatever your circumstances if you want to explore what options we have then enquiry online or just give us a call on 0800 298 3000 from a landline or 0333 003 1505 on your mobile. Any quotes are free and you will be able to talk to our finance loan team who have many years experience in helping people who have had difficulties with their finances get a loan. Even if you have been told, or believe you have a bad credit rating, multiple existing debts or have been declined finance in the past, we will always try our best to help. Despite what is probably common belief, people do not have just one unique credit score,they vary for each individual as there are many credit agencies who have their own method of scoring. Common ones include Experian and Equifax, these agencies keep detailed records on peoples credit history from information given to them by your lenders. This includes how much outstanding debts you may have as well as if you pay your credit commitments on time. Loan lenders and providers have access to this data, often know as a credit report and when you apply for finance from them they will carry out a credit check through their preferred credit agency. If you want to see your credit report you do not need to subscribe to any monthly long term arrangement. 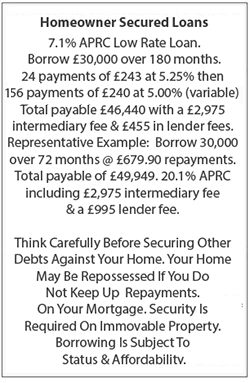 By law you have the right to be provided your Statutory Credit Report for £2. So simply write to the agency of your choice at the address below stating you want a copy of your credit report and enclose a cheque for two pounds (to either `Experian limited` or `Equifax Credit File Advice Centre` and they will happily send it to you. After all it is your credit file. It is important to note that all the different lenders have different criteria and your score may be accepted by some and not by other based on how you meet their specific more detailed lending criteria. I.E. It is not all about the score. So if you have been refused in the past this may not mean you have a bad credit rating, but you have just unfortunately applied to the wrong lender. Beware of making multiple applications and allowing companies to do multiple credit searches on you (read the small print before you apply anywhere on line), this can have a significantly negative impact on your credit score. Fortunately some of our lenders do not use a score method at all and accept loans based purely on their own rules. First Choice Finance have a panel of secured loan lenders to choose from and our underwriters are experts at matching clients to the right lender ensuring that you have the best possible chance of being accepted and avoiding disruption and disappointment. Unlike most comparison sites, if you meet our lenders requirements we will handle your secured loan application from start to finish, answering any questions you may have, and liaising with the lender on your behalf to get your money to you when you need it. To qualify for a secured loan you will need to be a homeowner / mortgage payer and have some equity in your property. These loans are secured on your home and carry the same risks as a mortgage in the even of failing to meet your payment commitments. 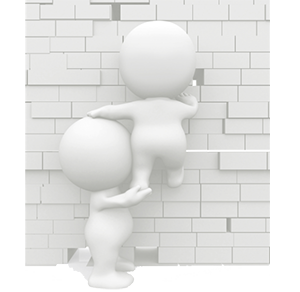 If you have existing debts we may be able to consolidate these into your loan to help simplify your finances and possibly reducing your monthly outgoings, even if you have missed payments on your credit cards, store cards, personal loans or even incurred mortgage arrears we could still help. Please click here for more information on how we can help you consolidate your debts into one manageable loan, or fill in our on line enquiry form. Alternatively if you would like to talk through your scenario that`s fine too - just give us a call.